Literal space is a plant inside the Bela Muxía hostel, which is the result of the expansion ofthe hostel in 2014. Built 2 story more endowed with more beds, more berths and anapartment with a terrace on top that allows visitors to contemplate the landscapesurrounding the village of Muxia. Also, Literal is a space for culture, where you can visit athematic exhibition of different aspects related to the culture of the people. 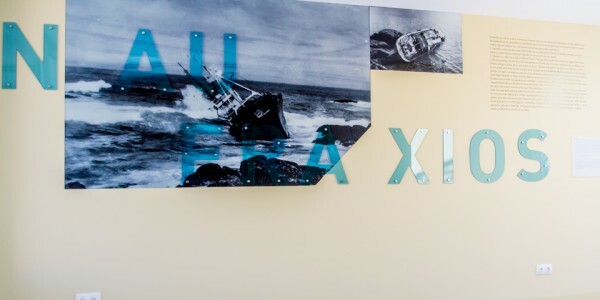 “A Costa daMorte”, “Os Secadoiros” and “Os shipwrecks” murals documented photographically byphotographer Muxía Ramón Camaño and Muxía Antón Castro also intellectual texts. 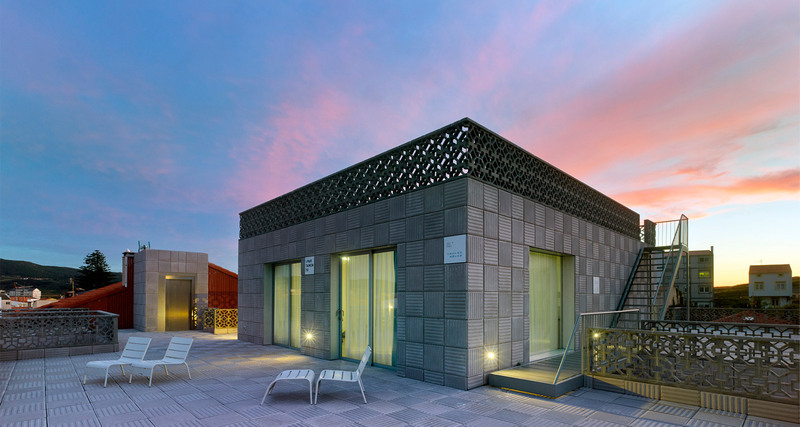 This provides double rooms and rooms with 4 bunk beds which will allow visitors to stay in a comfortable way with all the services offered by Bela Muxía. 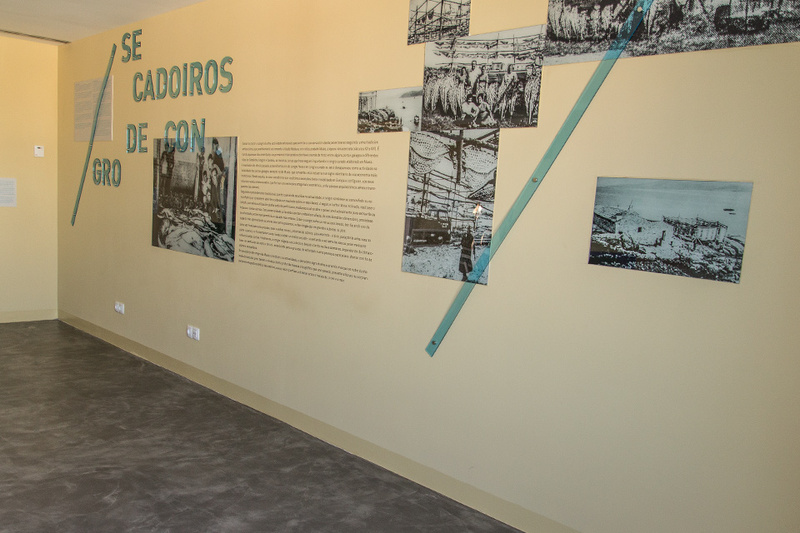 The actual sequence of the tough life that man has kept, in the course of time, his fight with the sea of A Costa da Morte gives, has made it possible for the economic development of this territory, but also a feeling that has familiar with the tragedy by the frequency of the shipwrecks. 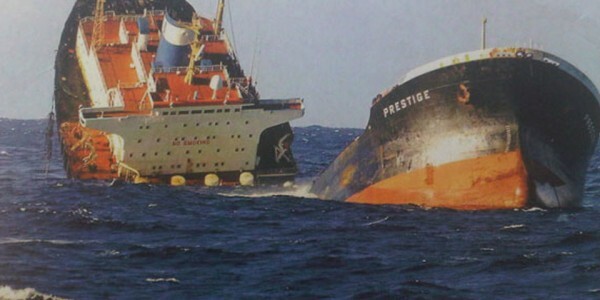 The wreck as a symbol more identity has generated an extensive literature from romanticism and has elevated the coast to a recognized awareness of fable and legend. In Muxía, and in the words of Ramón Otero Pedrayo polygraph, Rosalía de Castro wrote some of his best poems. She starts the cycle of the poets and intensifies the romantic mythology of the shipwreck and drama, extending the epic arm drinking in Byron, Goethe, Hölderlin, and the English laquistas, relish the idea of death at sea: the coast will be asalways to Costa da Morte, scenery of an identity with taste of tragedy and lyrical version of Fables that sang great poets, Hugo Rocha, José Angel Valente or César Antonio Molina, Gonzalo Lopez-Abente of Federico García Lorca. The raft as symbolic salvation of the Castaway, embodied in the Pedra d’ Abalar, inspired José Saramago in the fable of his novel, the stone raft. 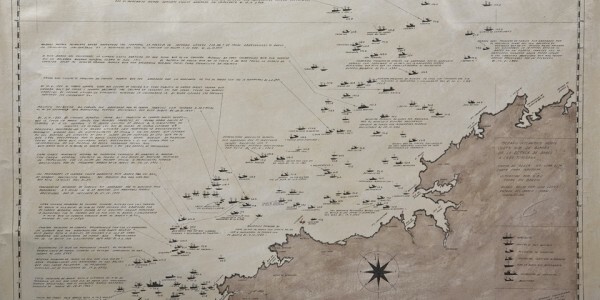 Patients flat manuscripts Olegario Pepe, Sardiñeiro sailor, designed as a product of his research for more than fifty years of work in the seas off A Costa da Morte gives, allow us tolocate the wrecks of the numerous shipwrecks that has suffered one from Cape Touriñán until the Lens tip. From the legendary collapses from the 16th century until the tragic nightof the Serpent, in 1890, from the Great Liverpool or the HMS Captain, all of them British, until the last of the great shipwrecks of the gigantic oil tanker Prestige, symbol of catastrophism and the chaos at sea, which sank off the coast of Muxia, in November 2002. 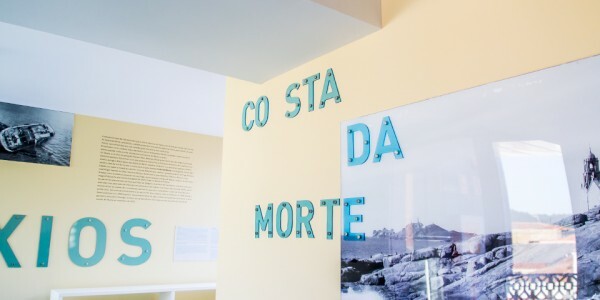 The Costa da Morte is the metonymmy of the mythical, ethnographic and anthropological consciousness of all the sea Galicia and acquires its most tragic identity in the image of the shipwreck, in the drama of the death. Finisterre, or end of the Atlantic world that sensed the Romans, appears set for a rocky coastal landscape, high cliffs and bad weather, hit by heavy rains or winds, sometimes storms, seas rough, currents and hazardous low orgiant waves, under heaven, often gray and recurrent clouds in an atmosphere of mists and fogs. 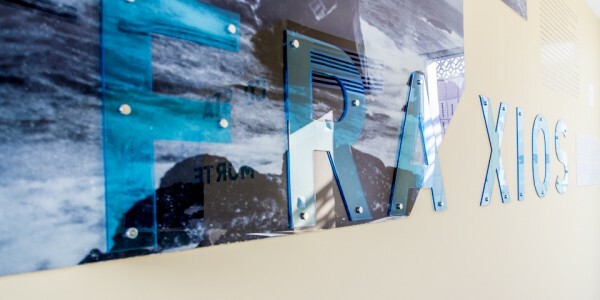 This piece of ocean, stretching from Malpica fisterra, has been recounting, over the centuries, its own history, transcribed in the explicitness of the name referring to death asunfinished epic the story of its inhabitants, who have always fought beside the sea oragainst the sea. Dry or cure Conger is a craft activity that allows the conservation of this white fish, following an ancient tradition that is possibly back to the middle ages and, most likely, to the Renaissance (15th and 16th centuries), which is when documented first exchanges, aneconomy of barter between some Galician ports and different peoples of Catalonia are Aragon and Castile. 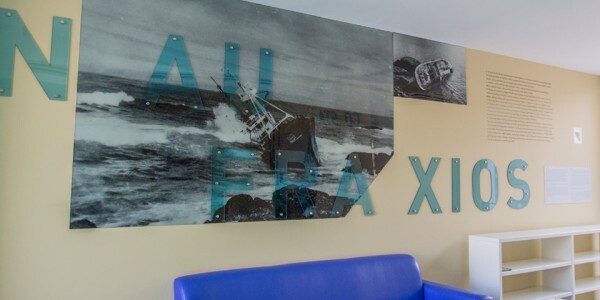 The same areas that today are still importing eel cured, made inMuxía. 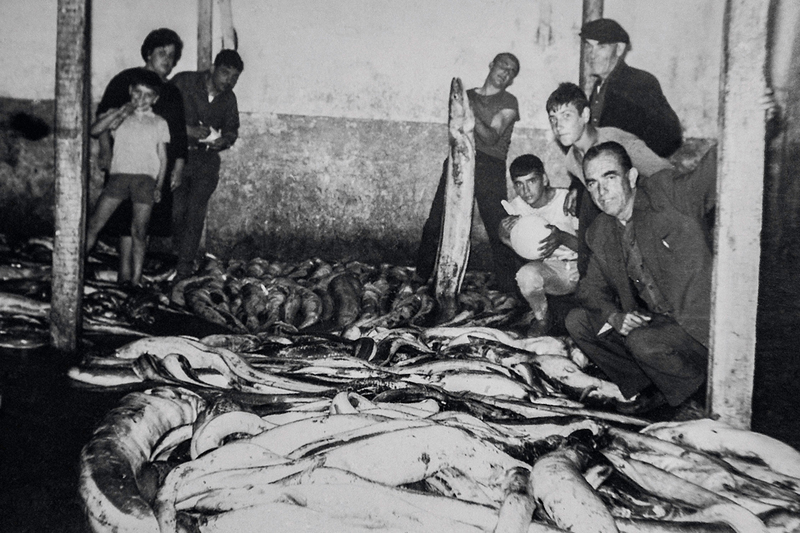 In the middle of the last century, the transformation of fresh eel in curing or dry conger disappeared, as activity in the whole of the Galician ports, except in Muxía, that this industry has become a sign of identity of its more traditional economy. Since then their dryers are the latest examples of this modality in Europe and configured, with its robust crossed sticks, forming a geometric, orthogonal structure an architectural landscape airand transparent (winch). Following the traditional procedure, which is still used today, conger eel is subjected to the esmonifado or esmunifado (which consists of open head with the blows of an axe on a bass trap). Then, and in a slanted table, is the wooled, requiring the use of a pruning ofcurved profile, through which the fish is opened longitudinally, to extract the innards and the loin meat. Subsequently, and using a sharp knife, of considerable size, proceed to the leaky, action that will allow a more intense drying. Then conger eel undergoes a thorough washing, making use of the water of the sea, taking advantage of the waves in the nextcliffs, either or scrubbing it in large buckets or peeps. Once this process is complete, switch to a tables, close to the winches, envarar it toput a stick on top, in order to maintain their rigidity and obtain a better dried-while holding the end of the rod to fish by means of a simple string. Finally the Conger hangs onthe winches and after one or two weeks, depending on the climate – in particular the windand the Sun-, is ready for the process of wrapping in a press and the subsequent packed with wire wired and burlap. Drying of conger are, at present, the ultimate sign of a living economy which thrives on a secular tradition, but are also symbols of a profound ethnographic richness that unites past, present and future in the surprising aesthetic scenery of the winches, whose sticks outline the boundaries between the horizon, the sky and the sea.